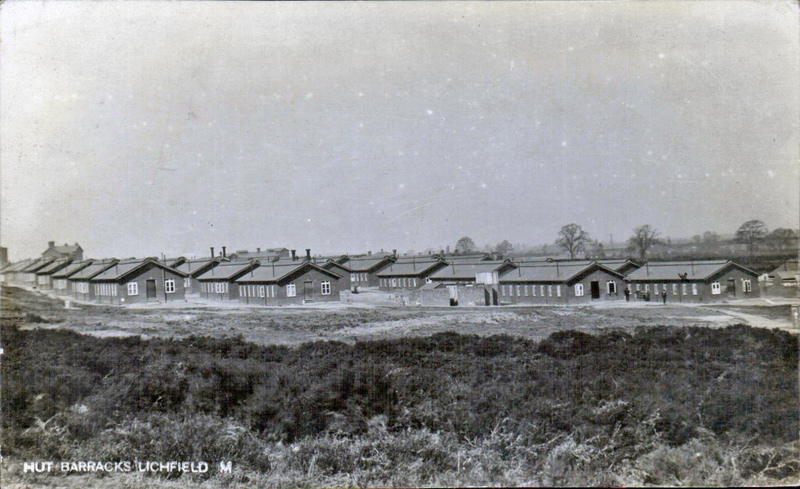 In the First World War J. R. R. Tolkien had learned to fire a rifle at a camp at Newcastle-under-Lyme, near Stoke-on-Trent. Less well known is that he had a connection with Stoke-on-Trent toward the end of his life, in the period after the first publication and tepid reception of The Lord of The Rings, and before his great work was re-discovered by a critical mass of young readers in the 1970s. From 1960 through to the early 1970s he spent many holidays with his son — who lived at 104 Hartshill Road, at the top end of Stoke town in Stoke-on-Trent. His son had lived there from 1957, just a few years before his father retired as a university lecturer in 1959. We know, from Tolkien’s surviving published letters, that the senior Tolkien spent the summer of 1960 in Stoke with his son, and many summer holidays thereafter. 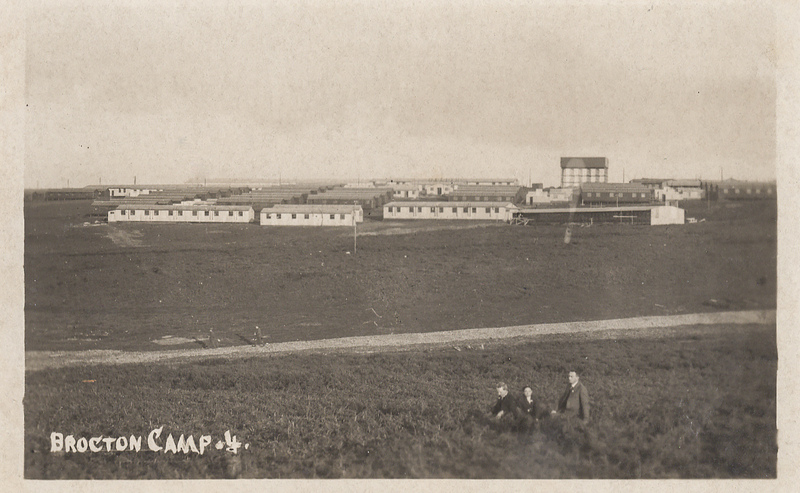 We also know from his letters that he spent winter holidays here, in the early 1970s. 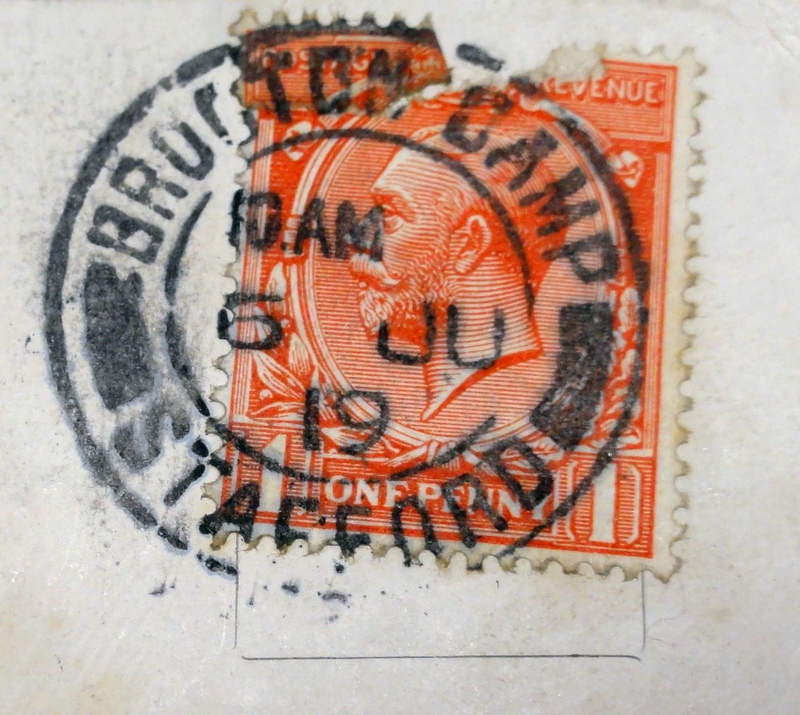 His surviving letters don’t provide comprehensive day-to-day coverage of his life, and so there may have been earlier winter visits to Stoke which went unrecorded. One imagines that he probably continued to live his life according to the divisions of the academic calendar, as he had since the 1900s, so perhaps some of the holidays were relatively long ones. 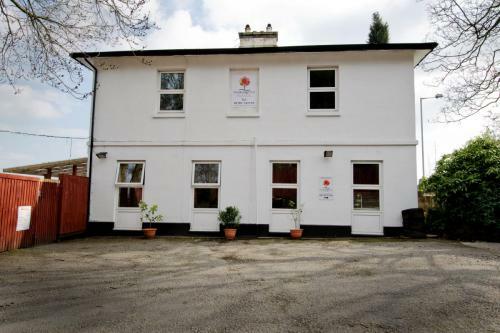 Picture: Northcote House, 104 Hartshill Road, seen today. Now converted to a children’s nursery. Presumably the rather bare back-yard, seen here, was once a garden. Picture: 104 seen from the front, on Google StreetView. We can thus imagine Tolkien, aged in his late sixties and seventies, being quite familiar with alighting from the Oxford train at Stoke with his trusty bicycle. He disliked cars (“Mordor-gadgets”), and the car-culture that was everywhere ruining England. 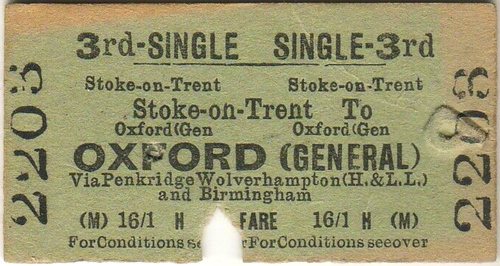 Oxford-Stoke is a long-established direct train service, and there’s still a direct two-hour service today. Despite his increasing twinges of arthritis it seems Tolkien was still an avid train user and bicyclist, and until about 1968 it was still fairly easy to get a bicycle onto an inter-city train. 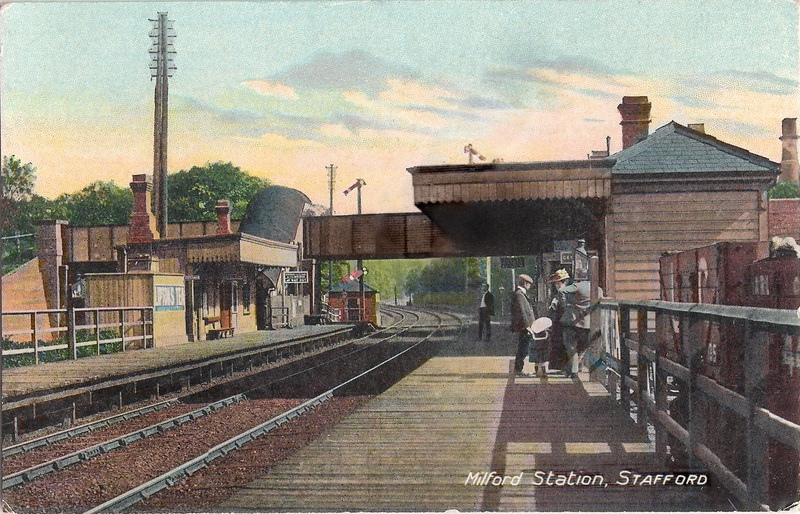 Thus we can easily imagine him bicycling from the station through Stoke town (the barrier of the A500 did not then exist) and up onto the lower slopes of Hartshill. He was not the cultural colossus he would later become. There would be no throng of adoring fans waiting for him at Stoke station, of the sort that might gather today for someone like Neil Gaiman. 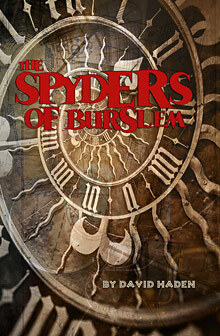 In Stoke he was just an obscure and rather isolated old man, a retired professor of medieval literature. His unwelcome retirement and his caring for his ill wife had tended to cut him off from social life. 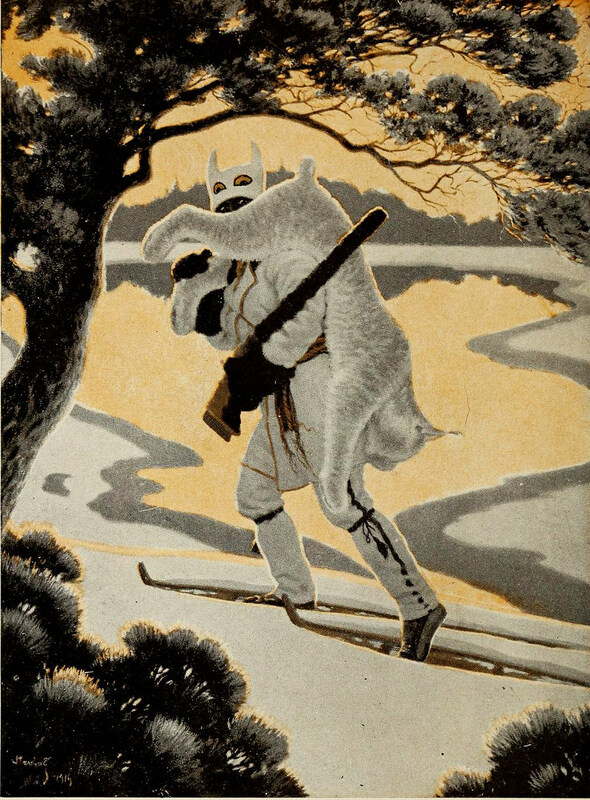 Yes, he had once published a popular children’s book in 1937, as well as a follow-up fantasy trilogy from 1954-56. But the establishment critics rarely thought of his work, and if they did they usually derided it after a hasty skim-reading. Philip Toynbee in the left-wing Observer newspaper (6th August 1961) was pleased to note of Tolkien’s works that… “today these books have passed into a merciful oblivion”. Tolkien’s deep national patriotism and his concern with the heroic past were increasingly out of fashion in intellectual circles in the 1960s and early 70s. What fans his work did have, in the 1960s, tended to see only the surface layer of his stories and he found such people rather annoying. The cultural seeds that Tolkien had planted in The Lord of the Rings were thus still largely dormant, and they would only grow up into a vast murmuring forest long after his death. Once unpacked and ‘settled in’ at his son’s house in Stoke, he might have regularly strolled or free-wheeled his bicycle down to a newsagents in the town for some pipe-tobacco and a newspaper. His memory for everyday matters was noticeably declining, but he was still fascinated by the intricacies of language and the names for things. Thus he would have had an eager ear for our strong and distinctive local dialect and words. Possibly he visited local pubs for a pint and a smoke of his pipe, the most likely pub being the nearby Jolly Potters rather than the pubs down in the town. One imagines that he visited the usual places on summer day-trips: the city museum (where he might have been more interested in the archaeology and the very fine natural-history rooms, rather than our world-famous ceramics); Trentham Gardens and the richly-wooded parkland estate; Biddulph Grange with its fantastical compartment-gardens and trees; the vast grounds full of trees on the campus at nearby Keele (apparently the son Tolkien was staying with was the Catholic Chaplain there) which later became a formal Arboretum. He would have felt at home in a district that cherished, as he did so ardently, its trees and gardens. Perhaps he also once or twice waded through the bracken to see King Wulfhere’s hill-fort near Stone, since he had an abiding interest in all things Mercian. Possibly he liked to use the various bits of the local railway network to get about, as the local lines were fairly extensive until the cuts made by the despised Dr. Beeching in the mid 1960s. However, any such visits would have been far too late in time to have influenced the landscape of The Hobbit or The Lord of the Rings. There is one possibility for influence on his creative work. In 1965 Tolkien wrote the fine long fairy-story “Smith of Wootton Major”. 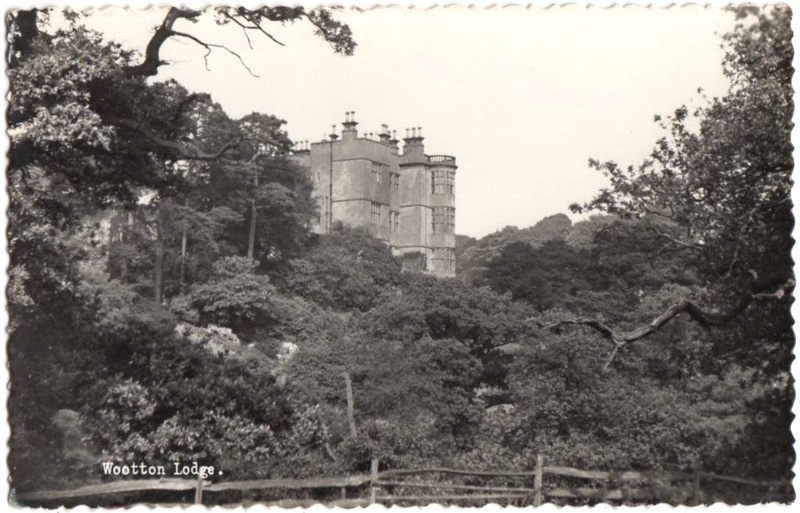 One wonders if the name might come from the elegant house at Wootton near Ellastone, in the moorlands of North Staffordshire. 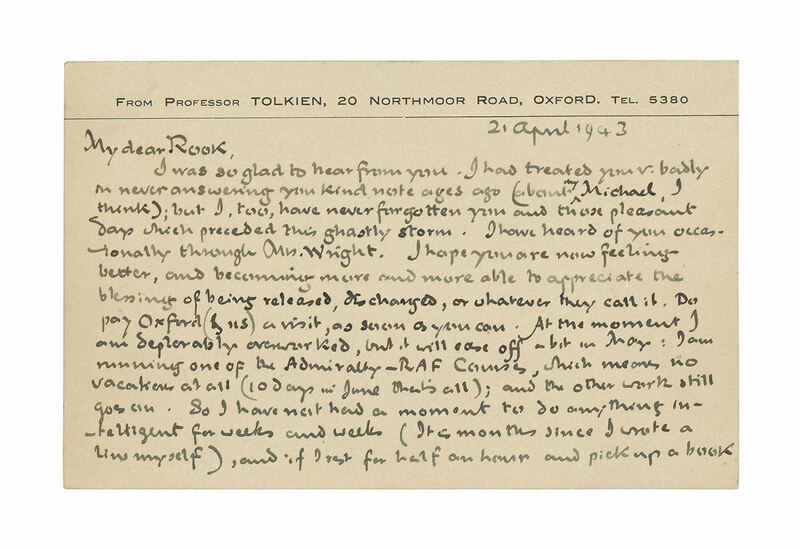 Picture: Wartime postcard from Tolkien to Rook, April 1943. 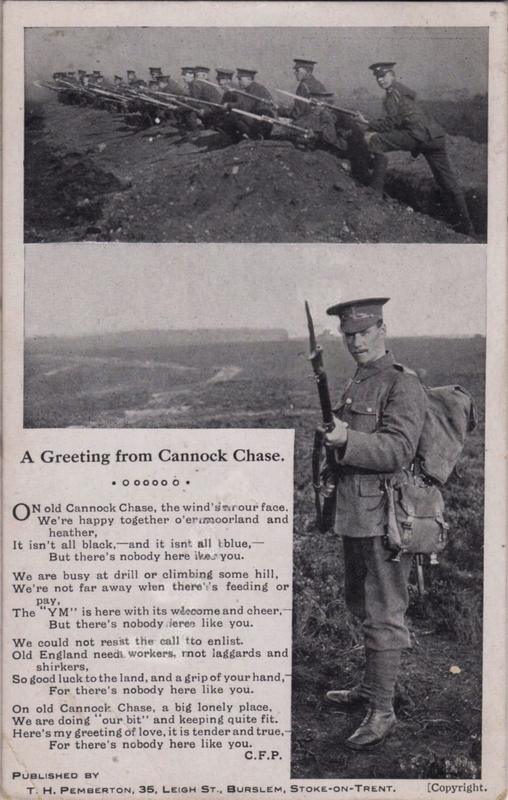 Tolkien assures Rook that he has “never forgotten you and those pleasant days which preceded this ghastly storm”. Rook had the house from 1950. In 1959 Country Life reported that… “In 1950 the house was bought by the present owner, Major Alan Rook, the poet and playwright, who has solved with great ability and discrimination the problem of living in a house that is both somewhat large and exceedingly remote.” Tolkien’s great friend C.S. Lewis may also have been a visitor at Wootton, as Rook also knew Lewis well (see: Schofield, In search of C.S. Lewis, 1983). Could the ‘Major’ and ‘Wootton’ have then lent their names to the late Tolkien story “Smith of Wootton Major” (published 1967)? This tentative theory also gains a little weight if we consider that Tolkien may have mused on the placename ‘Ellastone’ perhaps arising from ‘elf stone’. There is also a somewhat less likely influence, but one that is worth considering (if only to dampen the wild claims sometimes heard for it in the Staffordshire Moorlands). 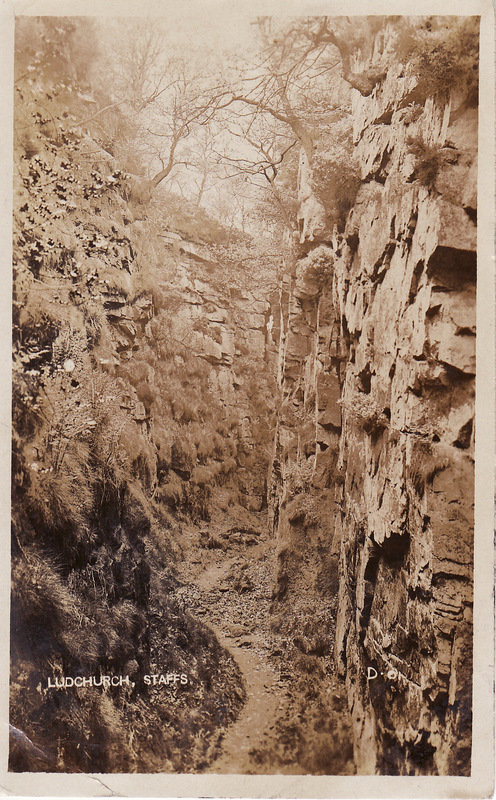 Given his continuing scholarly interests it is also conceivable that Tolkien made at least one excursion to the eerie cleft of Lud’s Church in the nearby Moorlands, stated nationally in 1958 (R. V. W. Elliot, article in The Times) to be one of the settings for the ancient tale Gawain and The Green Knight — of which Tolkien had published a fine scholarly edition in 1925. Tolkien would broadcast his modern English translation of Gawain on BBC radio in 1953, and would publish his Gawain book again in a revised edition in 1967. Most of the work on the new edition appears to have been done by a student of his, but one wonders if — as part of the field research for the new edition — Tolkien and his student made any trips by car from Stoke into the wild ‘barrow downs’ districts of the Gawain story. These are to be found very nearby, in the Staffordshire Moorlands and on the western edge of the Peak District. Specifically, for the precisely described landscape where Gawain meets the Green Knight at the end of the tale, in the northern part of what is now the West Midlands. Most likely an isolated linguistic district infused with what Tolkien referred to (following the usage of his tutors) as “Old Mercian” — roughly North Staffordshire and the Peak District of western Derbyshire, and adjacent parts of Cheshire. “written at Hales in south-west Lancashire, not many years earlier than 1413. This resemblance, however, only goes to show that the dialect of the copyist was of Hales in south-west Lancashire”. Thus we have no indication that the pre-Lord of the Rings Tolkien associated Lud’s Church with a Gawain location. It would, however, be interesting for Tolkien scholars to more precisely date the exact point at which Tolkien privately switched away from a ‘perhaps south-west Lancashire’ stance on Gawain, if switch he ever did. Could his opinion have changed on that matter by the early/mid 1940s (perhaps due to Mabel Day), before he wrote the ‘Door of the Dead’ sections of The Lord of the Rings? Tom Shippey, “Tolkien and the West Midlands: The Roots of Romance”, in Roots and Branches: Selected Papers on Tolkien, Walking Tree, 2007. (One of Shippey’s best and most important papers on Tolkien). The far Northern equivalent of the goddess Venus was… drawn through the air by two cats? Domestic cats are not thought to have been present that far north, at that time, though we know from footprints across wet clay that they were in the British Isles in Roman times. Hence the two grey-white house cats shown here are not likely to have been an accurate depiction, if cats were the correct creatures. 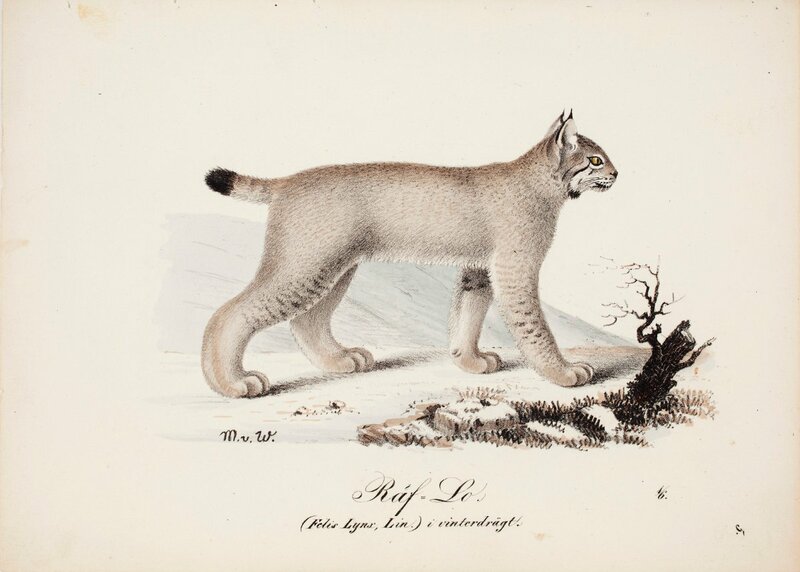 I would only add that the Finnish National Gallery provides a picture of a most elegant alternative to a spitting wildcat, the “Räv-lo i vinterdräkt” (1829) (Rav-lo or Raf-lo in winter coat), a type of large forest lynx with a grey-white winter coat. It seems a most suitable cat to be associated with a northern Venus-equivalent. Apparently the Romans thought stones of amber originated from the urine of such lynx, which may interest some readers in terms of the possibility that the Romans connected amber to Venus and her equivalents. Tacitus knew differently on that matter, knowing that amber must originate in tree secretions, but the mass of Romans who wore amber amulets thought it was the lynx. As one can see in this ethnography-informed painting, even in modern times these are big kitties, and in older times they were perhaps even larger and deemed by story-tellers to be big enough to pull a small chariot. 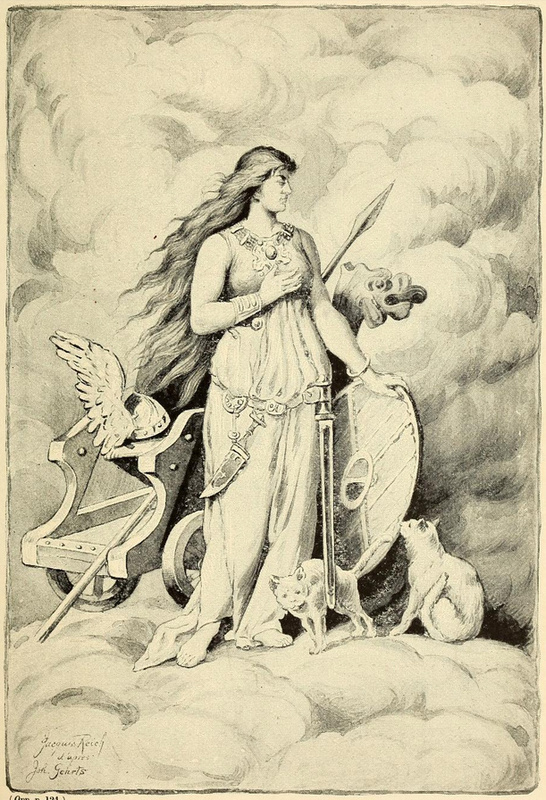 One wonders if these cats of Freyja might be akin to the night-seeing “cats of Queen Berúthiel” mentioned by Aragorn in The Lord of the Rings. But no, we now know that’s not the case. As revealed to readers of Unfinished Tales (1980), Berúthiel is a “nefarious, solitary and loveless” southerner and somewhat like Cleopatra in rank. She enslaved cats and used them as spies in the dark. So, not at all the goddess of love and fertility, and much more of a witch-like evil queen character. In an interview dug up from 1966 Tolkien had added: “She was one of these people who loathe cats, but cats will jump on them and follow them about”, and thus she enslaved them. 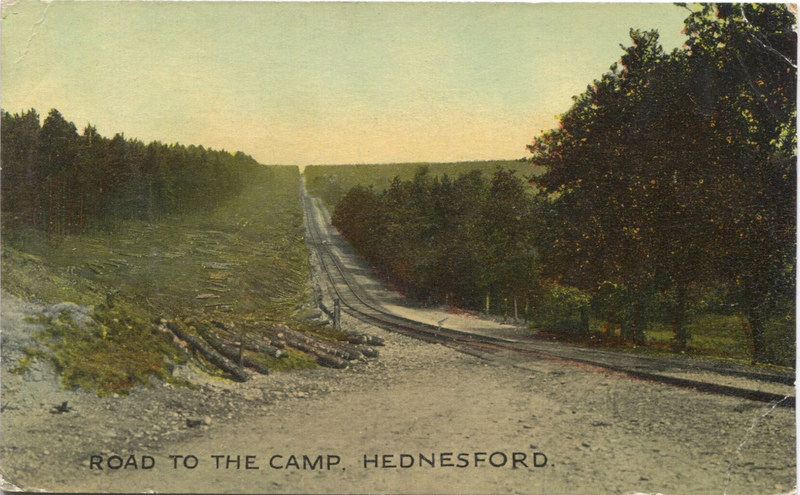 The Butts, near Newcastle-under-Lyme, for Musketry camp. 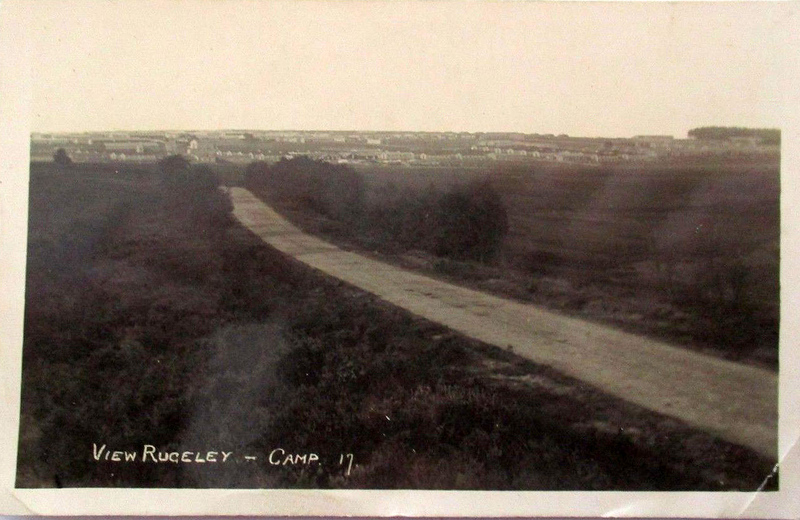 Rugeley Camp (Penkridge Bank Camp), at Brindley Heath on Cannock Chase, between Rugeley and Hednesford. 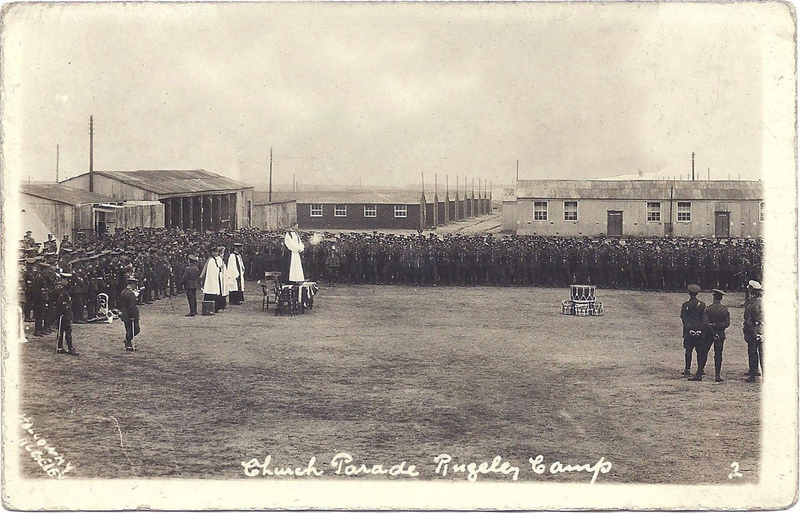 Picture was “Posted to France from Penkridge”. Indicative of the type of soldiers Tolkien would have been in command of. A lady golfer about to swing, with officers looking on from a safe distance. 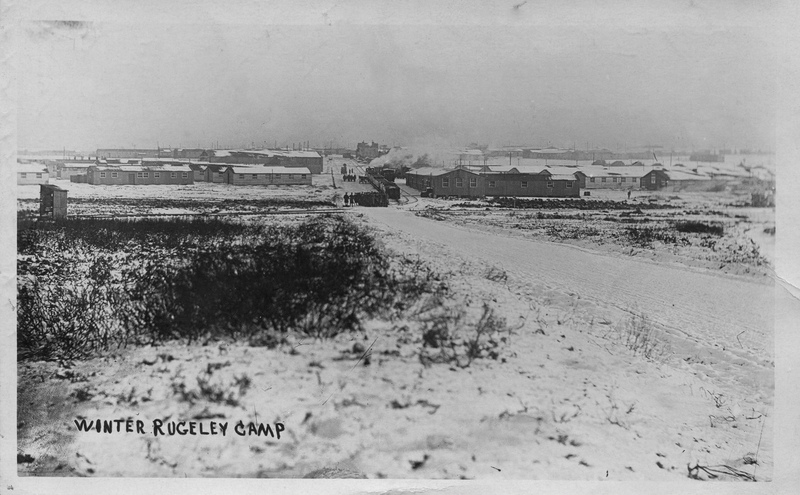 Brocton camp seen in the distance. 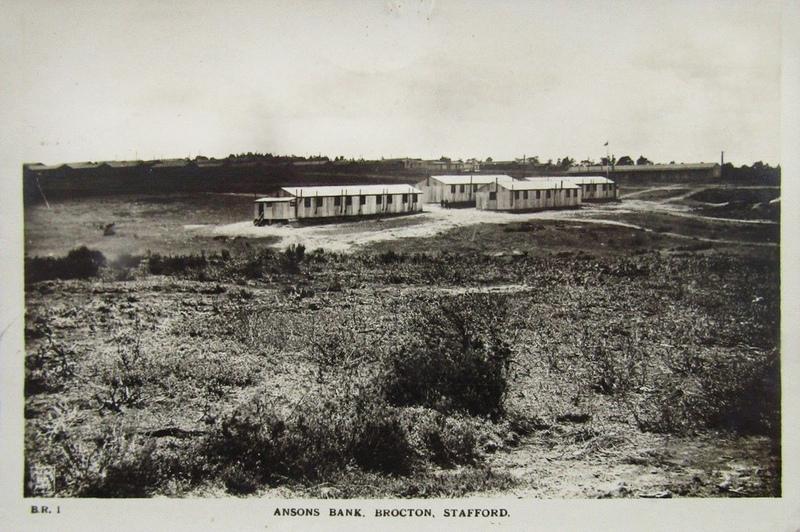 Tolkien is initially in the ‘P Lines’ huts near Ansons Bank, possibly these ones. 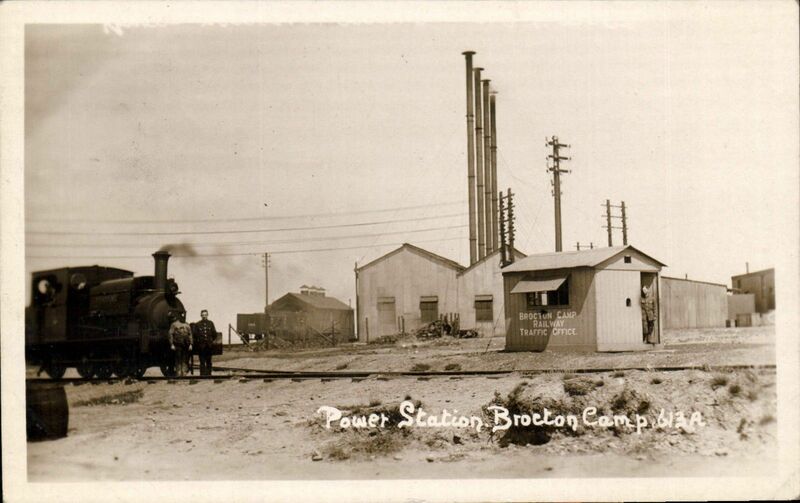 M & H Lines, Brocton Camp. He then moves to the lower ‘M Lines’ officer huts, about a mile north along the ridge from his previous ‘P Lines’ huts. 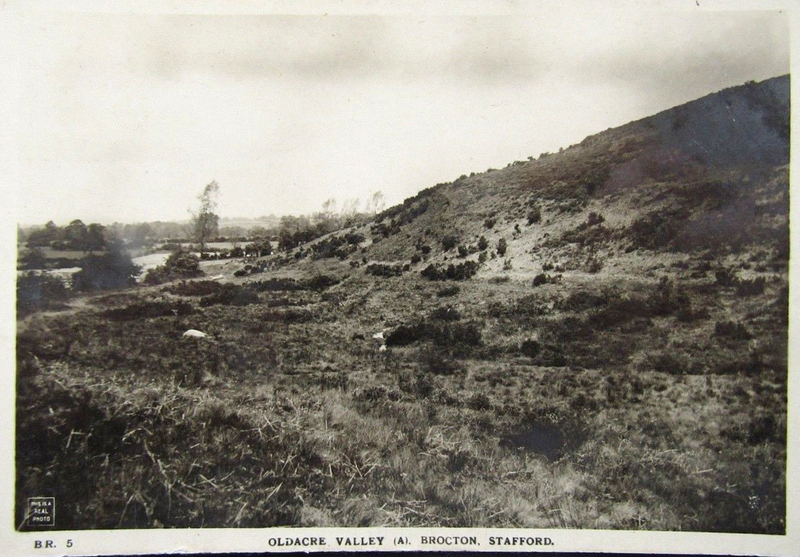 Oldacre Valley was a stone’s-throw below his ‘M Lines’ huts. 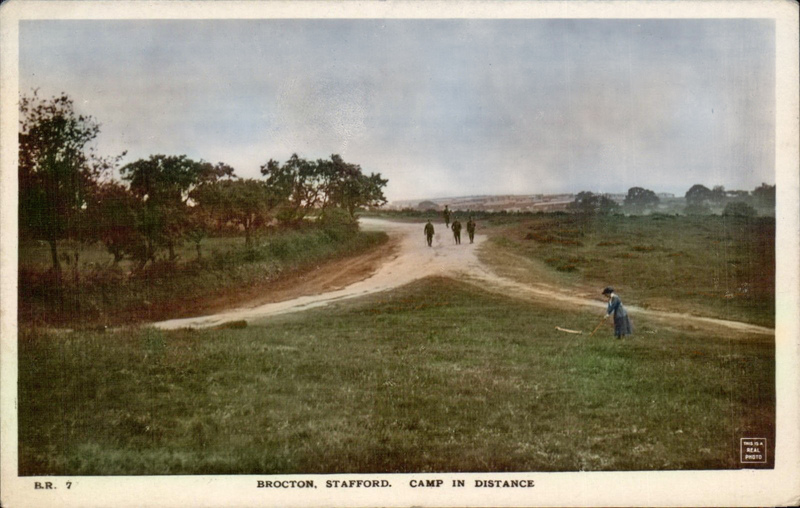 Judging from maps, this is the way he would have walked to reach the road through Brocton village, and thence to the railway station. 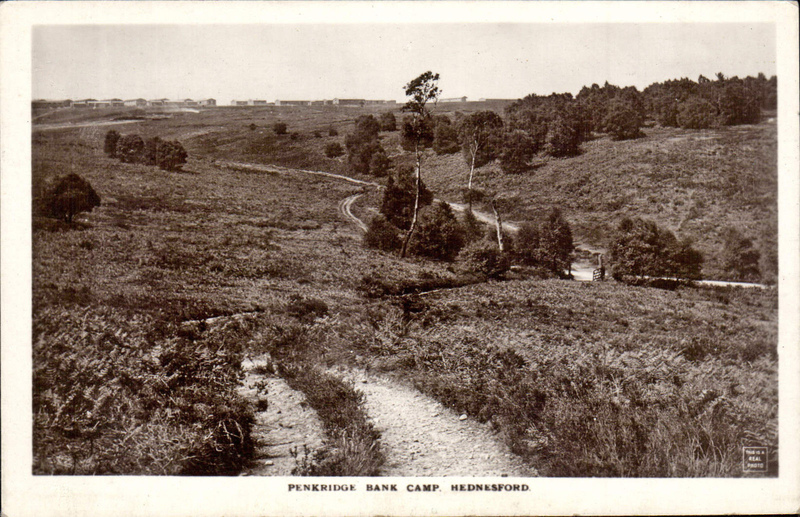 One can just about make out sandy footpaths through the heather slope, going toward the start of a lane in the distance. “Behold, I stole by the evening from the ruined heath, and my way fled winding down the valley of the Brook of Glass, but the setting of the Sun was blackened with the reek of fires, and the waters of the stream were fouled with the war of men and grime of strife…” Eriol, speaking in Tolkien’s ‘Book of Lost Tales’. 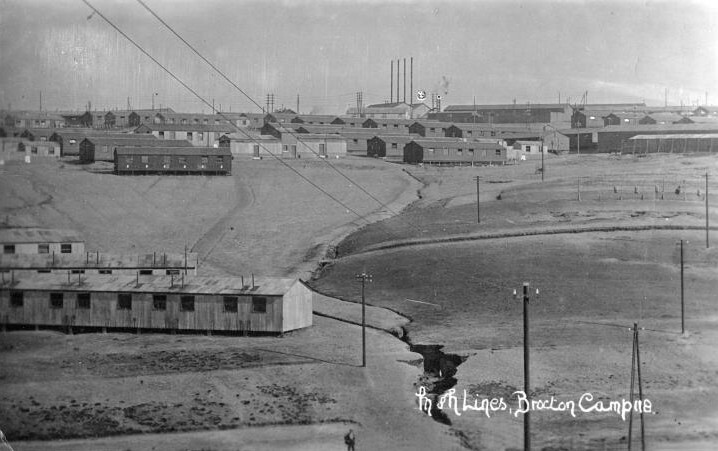 General view, the water tower being about midway between the ‘M’ and ‘P’ Lines huts. C.J. and G.P. 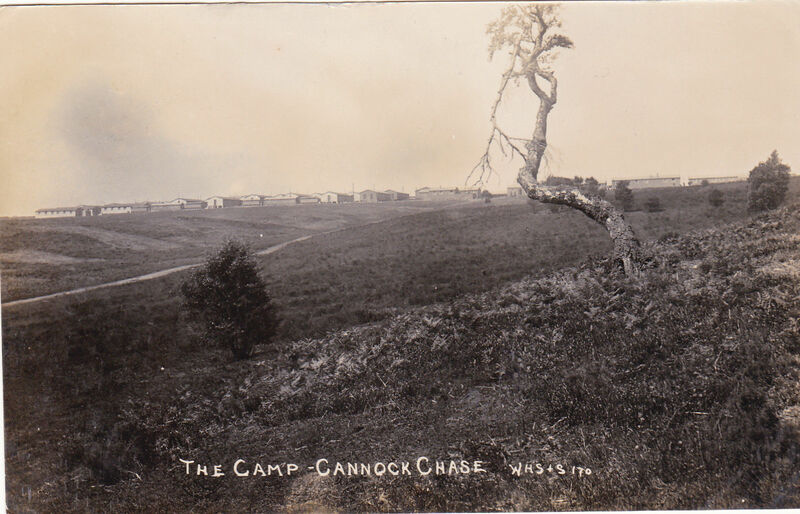 Whitehouse, Great War Camps On Cannock Chase – A Town For Four Winters. John Garth, Tolkien and the Great War: The Threshold of Middle-earth. 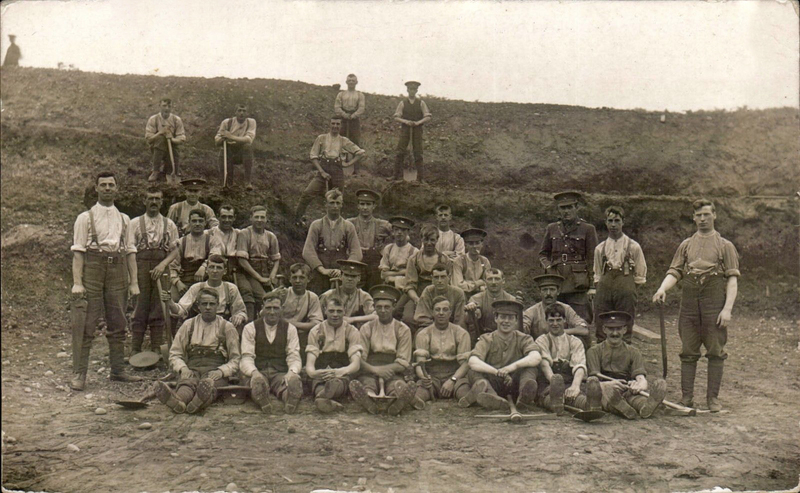 “On Tolkien at the Butts, near Newcastle-under-Lyme, in September 1915”. 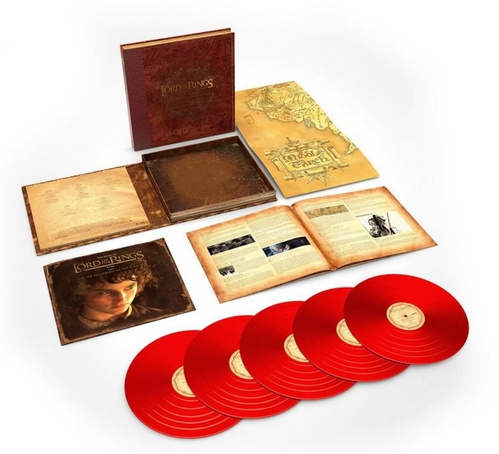 Howard Shore’s superb score for The Lord of the Rings: The Fellowship of the Ring (the first of the film trilogy) is getting a limited edition pressing of 5,000 copies of a 5 disc set of L.P. records on red vinyl. Probably about as close as you’ll get to having the original master tapes, assuming that red vinyl has the same audio properties as black does. It’s released in April from Rhino, for $120. 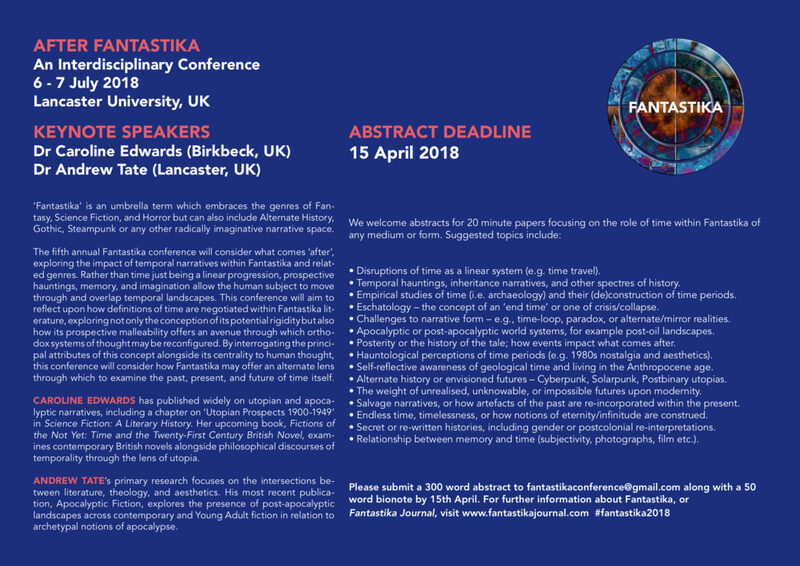 An interesting UK conference, “After Fantastika”, 6th-7th July 2018 at Lancaster University. And it led me to a new and associated Fantastika journal, which appears to be one of those ‘here today, gone tomorrow’ departmental postgrad journals. But nice to see, all the same. I HAD to smile at the letter from Paul Stanier of Trentham (Sentinel, Saturday March 10), accusing the Tories of destroying the industrial base of the area. Perhaps he ought to take off his pink-tinted spectacles. Shelton Steelworks was closed as a steel producer with the loss of hundreds of jobs in 1978 by Jim Callaghan’s Labour Government. The surviving rolling mill was closed with the loss of hundreds more jobs in 2002 during the Labour Government led by Tony Blair, above. As for the pits, Chatterley Whitfield, the first mine in the country to produce 1,000,000 tons of coal in a year, was closed in 1976, along with Glebe Fenton in 1964, Foxfield in 1965, Parkhouse 1968, Great Fenton 1969 and Norton in 1977 – all under Labour Governments. 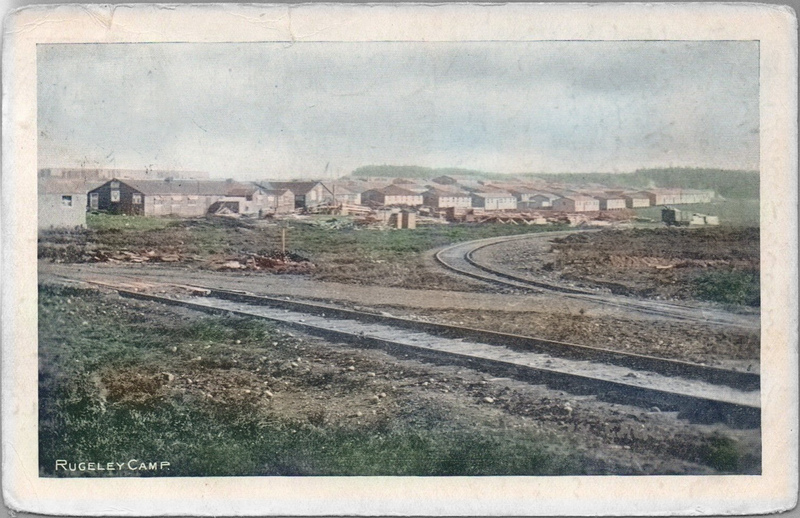 The last surviving pit in the area, Silverdale succumbed in 1998, again under a Labour Government. As for the pottery industry, well it was decimated under the policies of Tony Blair’s Labour Government. Royal Doulton haemorrhaged thousands of jobs between 1997 and 2004, with Baddeley Green and Beswick closing in 2002 and finally the jewel in the crown, Nile Street went in 2004.